Hi lovely people, gearing up for the most awaited festival of the year? 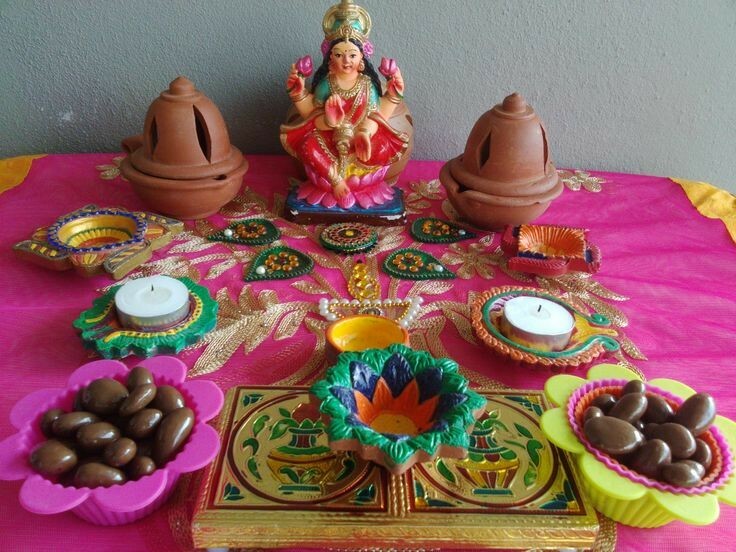 Confused on how to give a festival vibe to your home! Well, I have created a simple Diwali theme for you all, mostly using elements I already had! Hope this will at least give you some ideas for your own home. 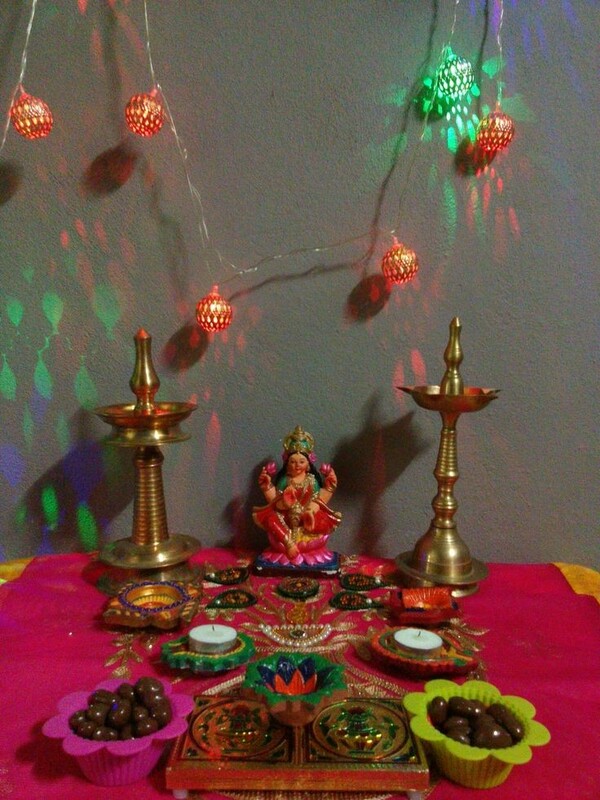 You can always add new elements to what I have suggested and create a happy space this Deepavali. 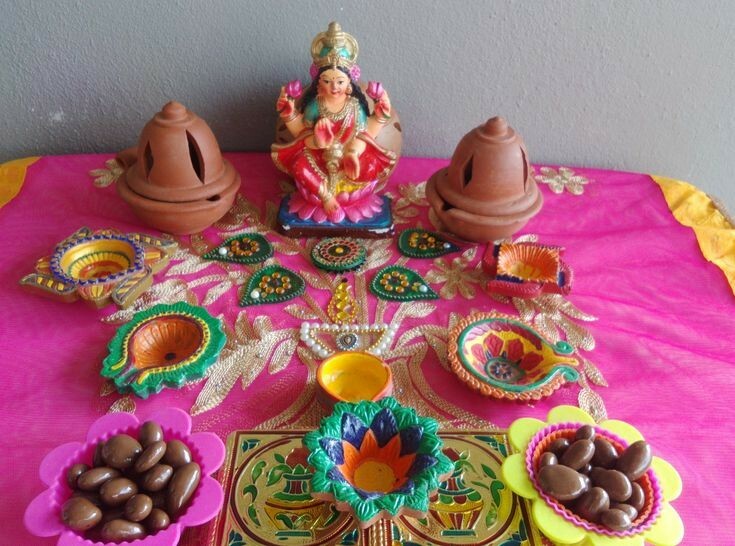 Firstly, gather all stuff related to the festival that are considered auspicious like Idol of Lakshmiji , Ganesha, earthen diyas, lamps, candles, rangoli stickers, kundan rangoli, kalasha , bright runners etc. You can design this theme on a shelf, console or a table. 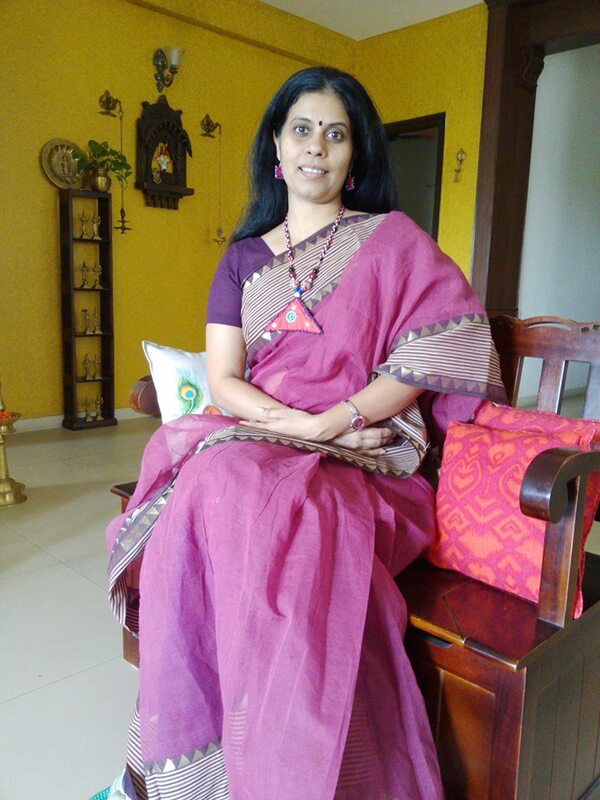 Here, I have used a duppatta as a runner. 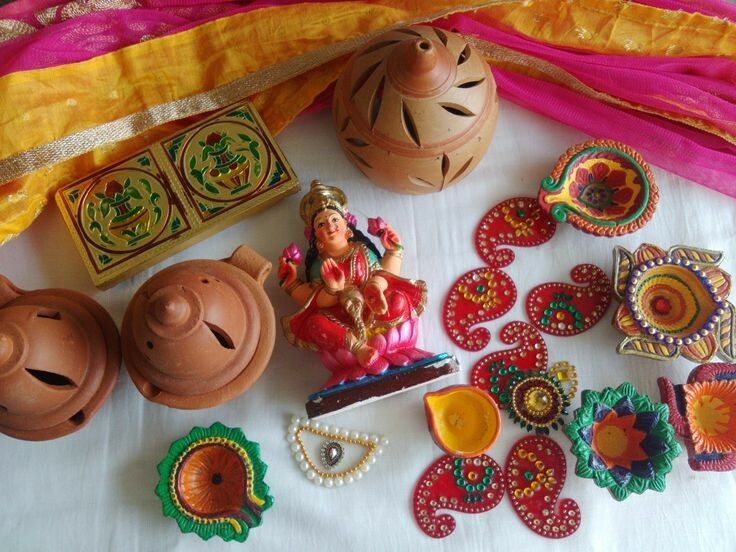 It is a bright pink, yellow and golden one with beautiful embroidered motif of a flowerpot.The other personalised addition are the earthen diyas that I hand painted. This way I choose my own colour scheme for them. Apart from these, Diwali is incomplete without sweets but instead of traditional sweets I have kept cupcake moulds filled with chocolates. This arrangement is specially for the kids. The cupcake moulds also lend a colourful and cheerful twist to the theme. 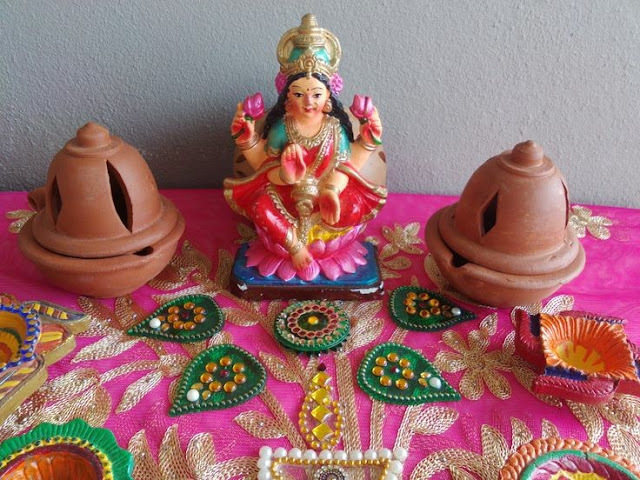 Ideally, you can create this decor in your entryway welcoming guests and Goddess Lakshmi blessing them with health, happiness and prosperity . Happy Diwali my sajavat family! Enjoy and have a safe one!